If you're looking for an eco-friendly vacation spot where you can enjoy the beautiful scenery while walking on a well-maintained trail to stay fit, there's no better place to go than Jeju Island. In the local dialect, "Olle" originally referred to the narrow path between the street and one's doorstep. 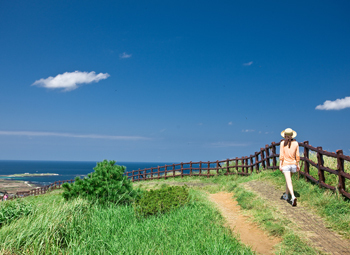 Jeju Olle-gil, a series of walking trails that stretch around the entire coast of the island, is one of the many attractions and activities that Jeju has to offer. The trails pass through various landscapes along the way, including small villages, beaches, farms and forests. 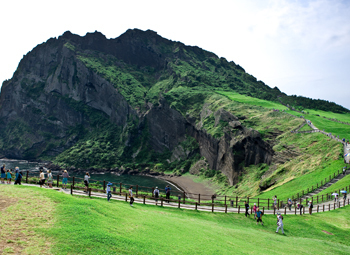 Each route offers a unique opportunity to soak in the beauty of Jeju and the island's culture. There is currently a total of 26 routes, consisting of 21 main routes and five sub-routes. Each course differs in length and difficulty, allowing visitors to choose the appropriate course that meets each individual’s level. The shortest route takes approximately one hour and the longest up to eight hours to complete. As each course is equipped with directions and guiding posts along the way, even first-time visitors will be able follow the trail conveniently. 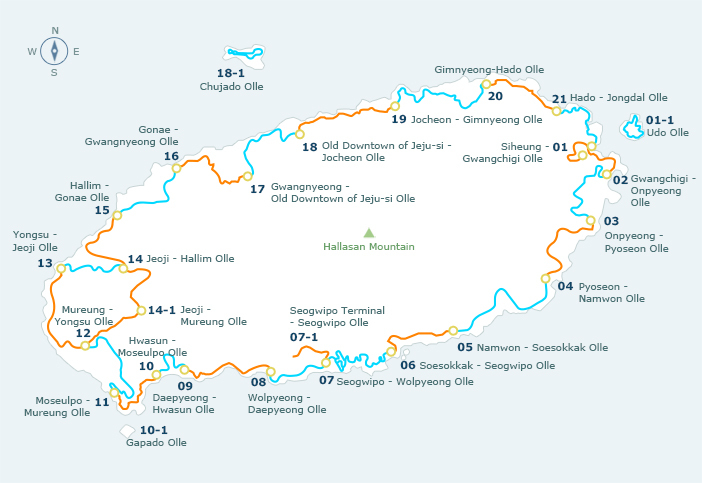 Visitors can get more information about Jeju Olle-gil Trail by visiting the official website.